A memorial lecture was delivered by Prof Ranjini Obeyesekere on Translations: The Art of Attempting the Impossible to commemorate the 88th Birth Anniversary of Regi Siriwardena in Colombo recently. "He was a fellow translator, a fellow academic. Someone I knew well and was close to. 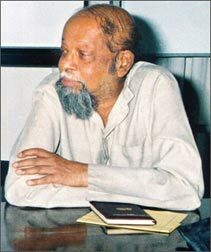 So this paper on translation for me was an attempt to pay him a tribute," said Prof Ranjini Obeyesekere. "Regi was a translator par excellence. Especially poetry which he passionately loved. He was a rare translator who became so enamoured with the Russian poet Pushkin that he learnt Russian in order to read the original. "Having done so he then translated his favourite Russian poems into English for us. He was a critic, a dramatist, creative writer and translator. Regi was a renaissance man. "He was that rare calibre of critic, sensitive, well read and immensely competent who we knew would assess, evaluate and comment on the quality of a performance without patronage and malice but with deadly honesty. What Regi Siriwardena said about a play had a tremendous impact on audiences. Those characteristics and generosity of spirit remained with him throughout his life as generations of friends and colleagues will vouch. "Today I have decided to talk about translations, what Robert Frost described as 'Attempting the Art of the impossible'. "Because it was that impossible Art that he and I were often engaged in. And which we discussed over the years. And it is only that passion in a translator that can make the impossible possible. Translation has always been and will always be the lifeblood that feeds Sri Lankan life and literature. "How so one might ask? Being a small island located at the crossroads of sea routes connecting the Western and Eastern worlds over the centuries, Sri Lanka has been a contact point for different linguistic, ethnic and cultural forces." Journalist and foreign correspondent Lakshman Gunasekera also spoke.